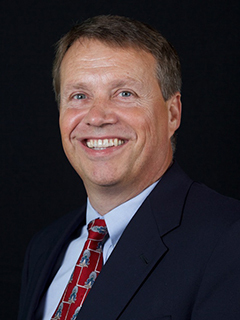 This week TAEBC is highlighting Dan Hurst, president and founder of Strata-G, LLC. Dan has more than thirty years of environmental, energy and entrepreneurial experience, and he has led several startup service businesses. He has provided technical consulting and managed people and projects in the areas of environmental, safety, nuclear, and utility services for numerous federal, public utility, and commercial clients. 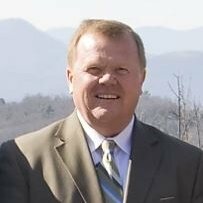 Under Dan’s leadership, Strata-G has grown to almost 200 professionals and has been recognized with four small-business-of-the-year awards, two Pinnacle Award finalist nominations for business excellence by the Knoxville Chamber of Commerce, and the Innovation Valley Navigator Award for community service. 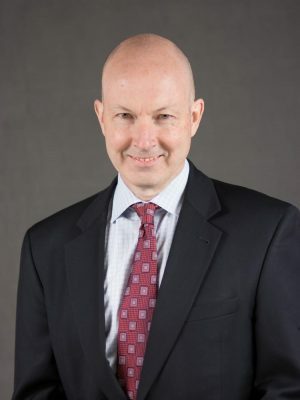 Dan has an Executive Certificate in Management and Leadership from the MIT Sloan School of Business and a master’s degree in Environmental Engineering from the University of Tennessee, where he serves on the Board of Advisors for Civil and Environmental Engineering. He is the 2007 recipient of the Biosystems Engineering Distinguished Alumni Award, the 2012 TN Veterans Business Bravo-Zulu Award, and the 2015 East TN Economic Council Muddy Boot Award. Dan is a veteran of the U.S. Navy and received commendations as a Division Officer and Instructor in the Naval Nuclear Power Program. Dan currently chairs the boards of the West Knox Utility District and Knox Area Rescue Ministries. TAEBC is highlighting this week Mark Patterson of Patterson Intellectual Property Law. 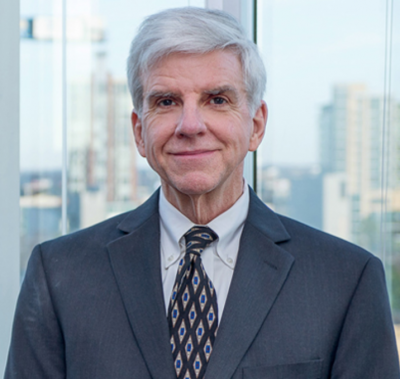 Mark has 35 years of experience counseling clients in the protection, management, and enforcement of intellectual property rights, including patent and trademark prosecution and licensing. As a former electronics design engineer, Mark works regularly with complex electronic, computer, and electro-mechanical technologies. He manages patent and trademark portfolios for clients with significant domestic and global operations. Mark began his legal career as a litigator and for 30 years tried numerous cases and argued appeals in both state and federal courts. He was an adjunct professor at Vanderbilt Law School and has provided expert witness services in a variety of intellectual property disputes. He applies all of this experience in providing cost-effective, strategic IP advice to businesses throughout the U.S. This week TAEBC is highlighting Ron Thompson. He serves as the Director of Business Development for Innovation/Emerging Markets and New Technologies at Eaton, a global industrial company with over 100 years of expertise and 97,000+ employees. Over Ron’s thirty years with Eaton, he has held roles in sales, marketing, product line management, R&D, and business development. He has gained a reputation for being a risk taker and innovation stimulator. This week TAEBC is featuring Marilyn Waite. 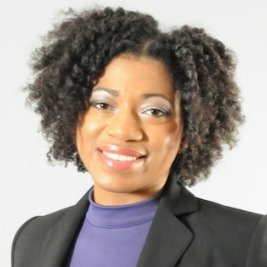 Marilyn has worked across four continents in venture investment, startups, and renewable and nuclear energy (AREVA). Author of Sustainability at Work, Marilyn currently leads the energy practice at Village Capital, serves on the Board of Directors for Engineers for a Sustainable World and the Biomimicry Institute, and is a former Senior Research Fellow overseeing energy solutions at Project Drawdown.